Remember our post world’s Biggest Flower Garden? 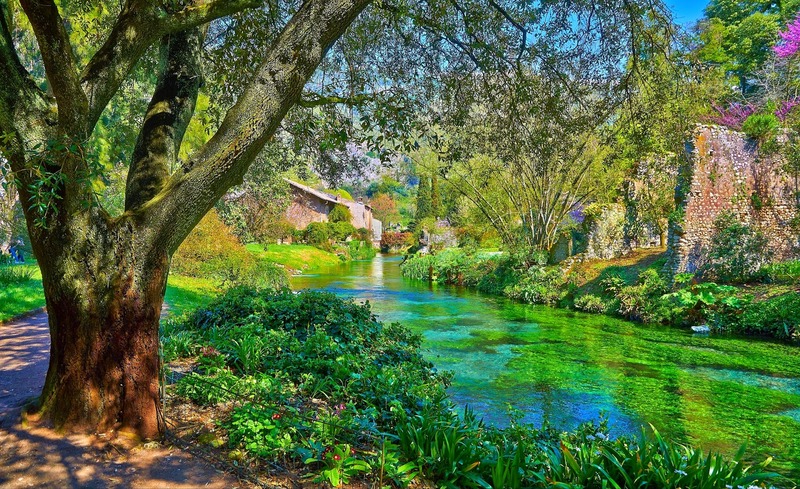 Garden of Ninfa is a green garden landscape, located in the country of Italy. The park is huge and it is considered as an Italian monument. 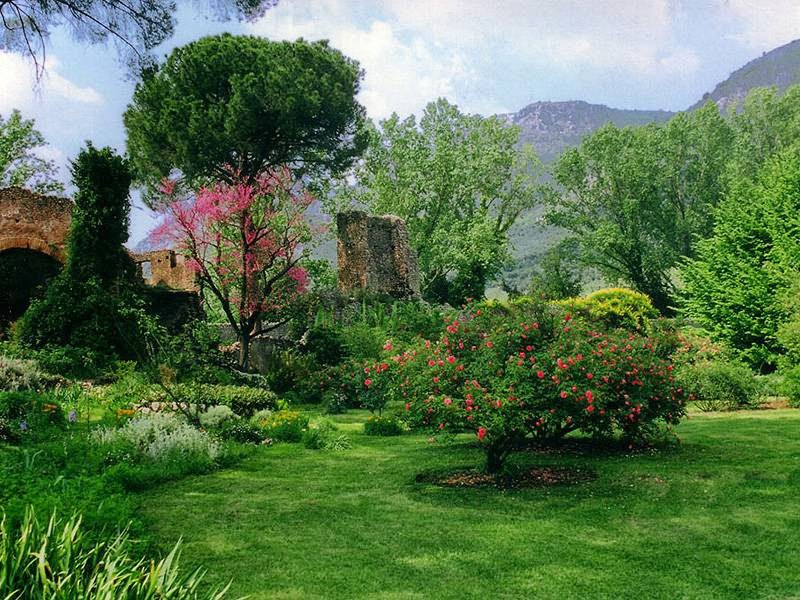 Within that huge garden, you will find several species of trees and, grassy meadows as well. 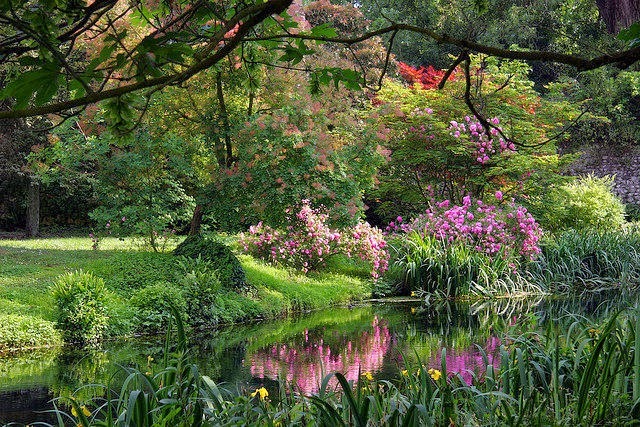 The main role has the old oaks, which exist in Ninfa’s garden. Exotic plants from every single part of the world can also be found in that extraordinary garden. 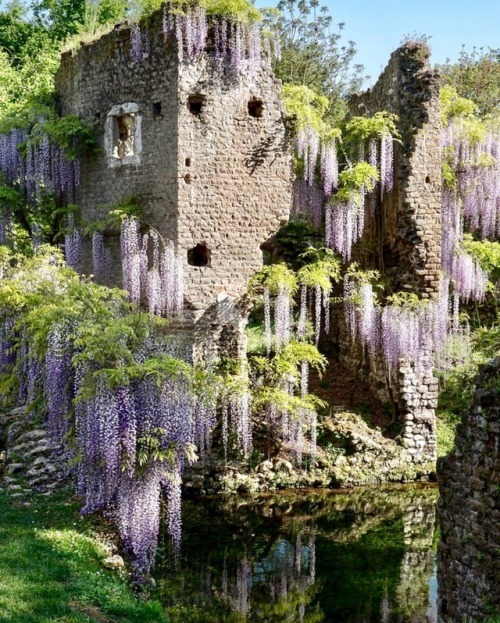 The beauty of the landscape cannot be easily described and it is a weird fact that roses grow into the ruins that exist in the landscape since the medieval times. 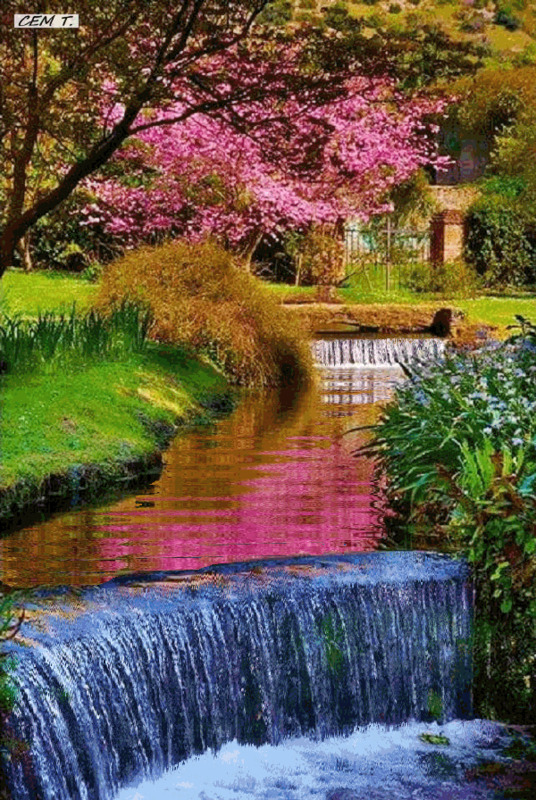 Watercourses can be seen, in that garden of wonders. 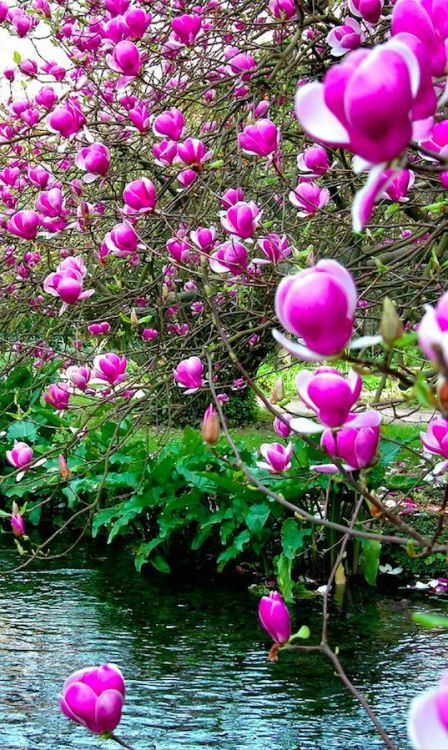 Many claim that Ninfa’s garden is the most romantic garden in the world. I will definitely agree with that. All that ruins from the old temples and castle as well, can easily run someone back in time, to a totally different era from the one, that we live in now. 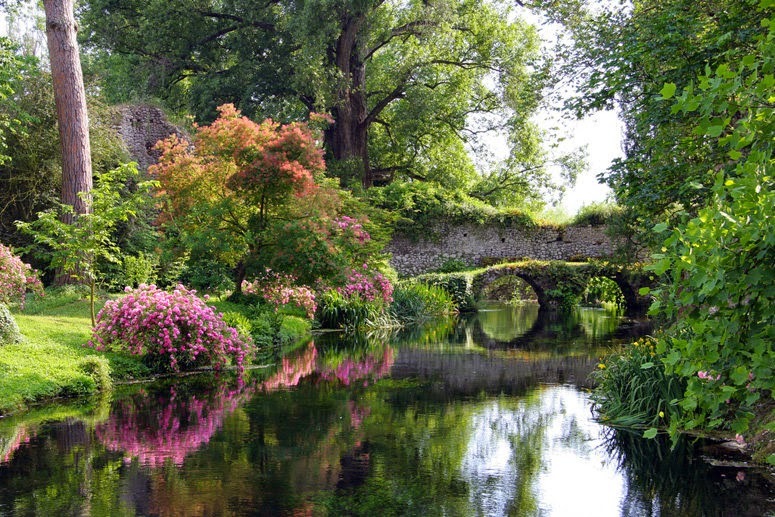 Ninfa’s garden is said to be named after the Nymphs. Nymphs were ancient Greek forms of goddesses. According to the myth they lived amongst the trees and running waters. With a few words, such a place as Ninfa’s garden, can be easily the home for Nymph. Is also said that in the lake that exist in that landscape, used to be located a temple dedicated to Nymphs. We can easily conclude in that case, that the garden was named after the Nymphs that supposedly lived there. 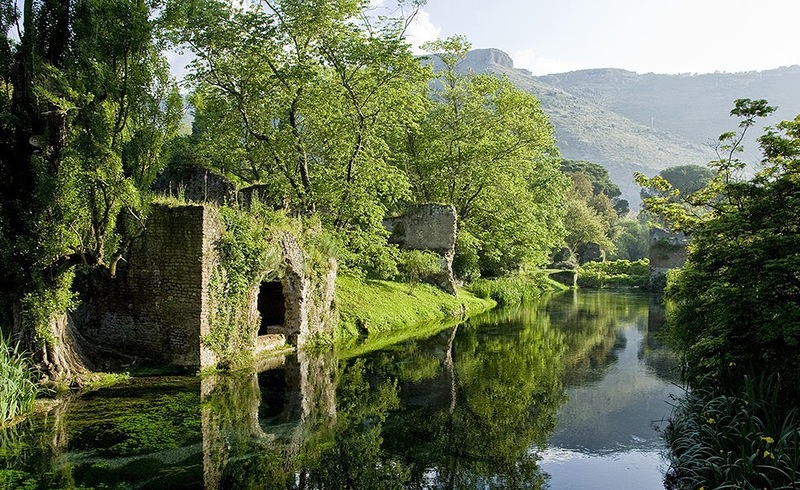 During the Medieval years, in the Garden of Ninfa a small village existed. With the century’s flow the village was abandoned. The only thing remaining now is the ruins, of what was a village back in time. Other building ruins can also be seen. Ancient bridges above small rivers also. The thing is that that place is definitely unique on planet earth. It is a beautiful sightseeing spot, which no one should miss. Especially if someone is a nature, history and archaeology lover as well. The aura of the place is definitely amazing. Just in the thought of how many people have passed that place, through the centuries.